Balance out your picky eater’s uneven diet with PediaSure Complete®, the #1 pediatrician-recommended brand. 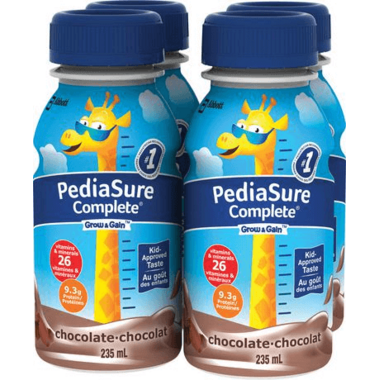 PediaSure Complete® is a nutritional drink for children 1 to 13 years old that can be used as part of a healthy diet. Ready to serve with meals or as a snack, it’s perfect for kids on the go!